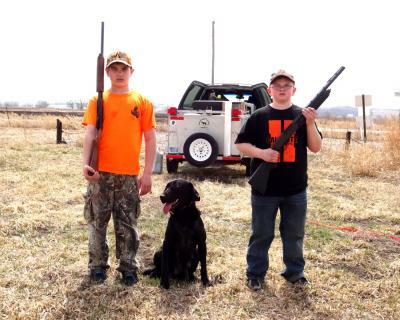 My sons Isaiah (11) and Noah (9), preparing for some upland training with their dog KC. This is an exceptional young dog that is a dual national qualifier with the UGA Open Challenge and she is preparing to run at the end of the month for her National title. These great young hunters are aware, even at this age, of what it takes to succeed in the field and the hard work that goes along with it. Wish these young trainers luck in helping prepare for the upcoming event. I am proud to call them my sons.